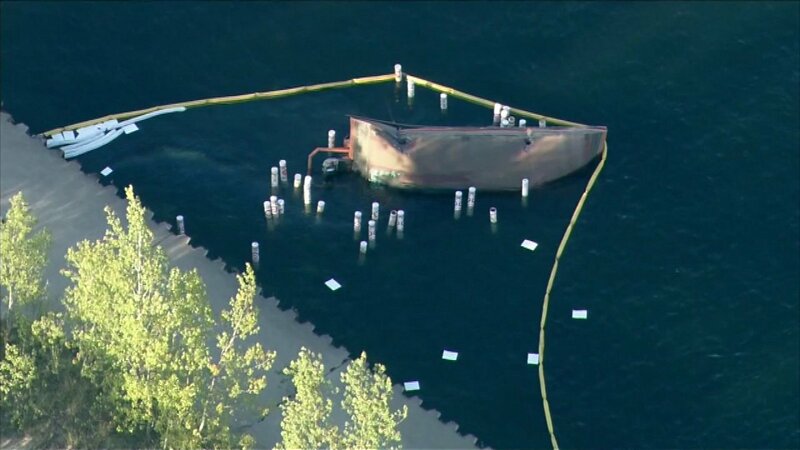 3 hospitalized after reported barge explosion near Mich. City, Ind. Three people have been hospitalized after a reported barge explosion on Lake Michigan near Michigan City, Ind. Friday afternoon. MICHIGAN CITY, Ind. (WLS) -- Three people have been hospitalized after a reported barge explosion on Lake Michigan near Michigan City, Ind. Friday afternoon. The three injured were transported to Franciscan St. Anthony's Hospital with non-life threatening injuries, an official with the Michigan City Fire Department said. Law enforcement officials tell ABC affiliate WBNLD that the explosion occurred on a barge operated by the Port Authority at about 3:30 p.m. The barge was moving buoys when the crew noticed a fuel leak and then there was an explosion.